Incoming Gov. Gavin Newsom will have an advantage that Jerry Brown didn’t have in his first year in office nearly eight years ago: more, not less, money for K-12 schools and community colleges. Together with current one-time spending that will be freed up, community colleges and schools will have $2.8 billion more to spend next year. 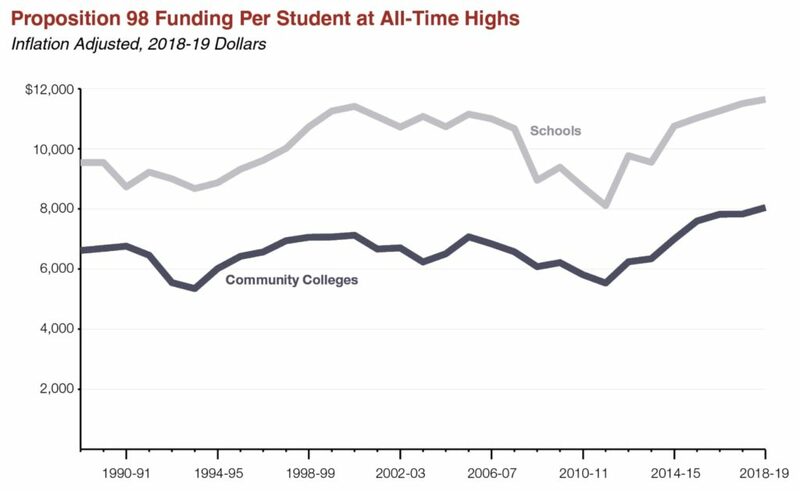 This 3.1 percent increase — less than they received for several years, when they were repaid for underfunding during the economic recession — will limit school districts’ and community colleges’ ability to expand or add programs. But advocates for finding money for one of Newsom’s top education priorities — child care and expansion of preschool — may be heartened by the projection for the overall general fund budget, which Newsom could use to pay for more early education programs. The analyst’s office estimates that there will be $14.8 billion more next year in the general fund. By historical standards, this amount is “extraordinary,” the analyst’s office wrote. “We know that lawmakers will be considering putting away money in the rainy-day fund to save for the next recession, but the time to act is now. With a $14.8 billion surplus, our state leaders have the resources to put California’s families first,” she wrote. In his first budget as governor, in the hangover from the Great Recession, Brown and the Legislature cut $1 billion in spending for K-12 for 2011-12 and delayed payment of $2 billion more until the following year. In the economic recovery that has followed, with a tax increase that voters passed in 2012 and extended in 2016, K-14 increases for the past six years have averaged 6.5 percent annually. Now, however, the analyst’s office is projecting increases through 2022-23 at about the historical average, about 3.4 percent. And that assumes no economic recession. Districts, however, aren’t feeling flush. The projected increase in 2019-20 will cover the estimated cost of inflation, but not much more. And K-12 districts are facing mandated increases in pension costs for teachers, administrators and classified workers that will eat up about half of the new money for the average district in the next fiscal year. At the same time, many K-12 districts are feeling squeezed by rising special education expenses and a drop in state revenue due to declining student enrollment. “The increase is pretty much spoken for,” said John Gray, president and CEO of School Services of California, an education consulting firm based in Sacramento. The projected 3.1 percent increase next year will raise Prop. 98 revenue for K-12 and community colleges to $80.8 billion. 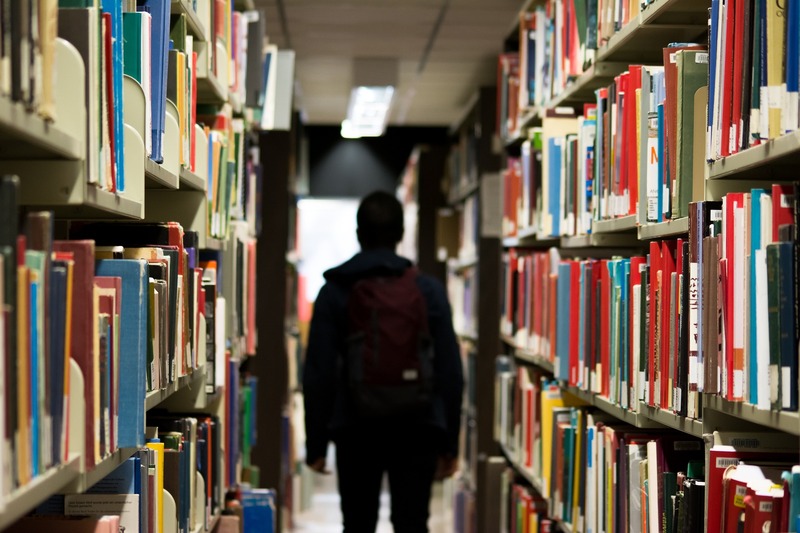 Community colleges historically have received about 11 percent of the total, which would be $8.8 billion next year, leaving $72 billion for K-12 and preschools. While the projected extra money will be welcome news for the community college system, it falls short of the system’s budget request for 2019-20. The California Community Colleges Board of Governors in October asked for $488 million in additional dollars, excluding money for rising inflation. The projections made by the Legislative Analyst’s Office suggest the college system would get closer to $200 million, plus $239 million for rising inflation. “Based on our outlook, we project the 2019-20 budget would have insufficient Proposition 98 funding to cover the costs associated with the CCC Board of Governors’ budget request, assuming the Legislature funds at the minimum guarantee and provides the community college system with its typical share of total Proposition 98 funding,” said Edgar Cabral, an analyst at the Legislative Analyst’s Office who studies community college issues. The projections assume that the Legislature and Newsom will fund at or just above the minimum level state law allows under Prop. 98. Another assumption is that costs will not increase for the new community college funding formula that lawmakers and Brown approved in June. That formula rewards colleges for numerous improved student outcomes, such as more completed degrees and more students transferring into four-year universities. It also rewards colleges for enrolling more low-income students. If costs of the funding formula were to increase in 2019-20 — due to improved student outcomes or colleges enrolling more low-income students — less funding would be available for spending on new activities, Cabral said. The analyst’s office said that per-student funding in 2018-19 is $11,645 for K‑12 and $7,584 for community colleges. Adjusted for inflation, it’s the highest since voters passed Prop. 98 in 1988.